My Easter weekend has consisted of finishing the quilt blocks for the wedding quilt. 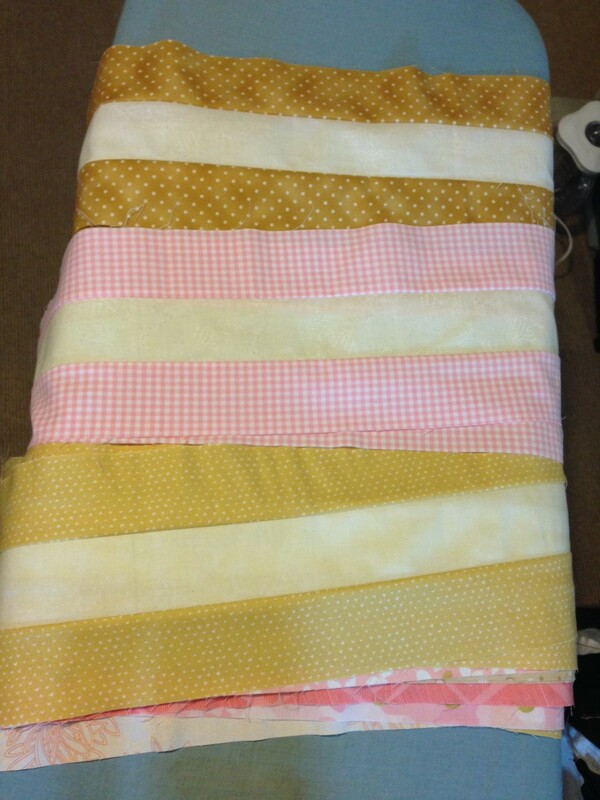 I had gotten the strips half sewn throughout the week. 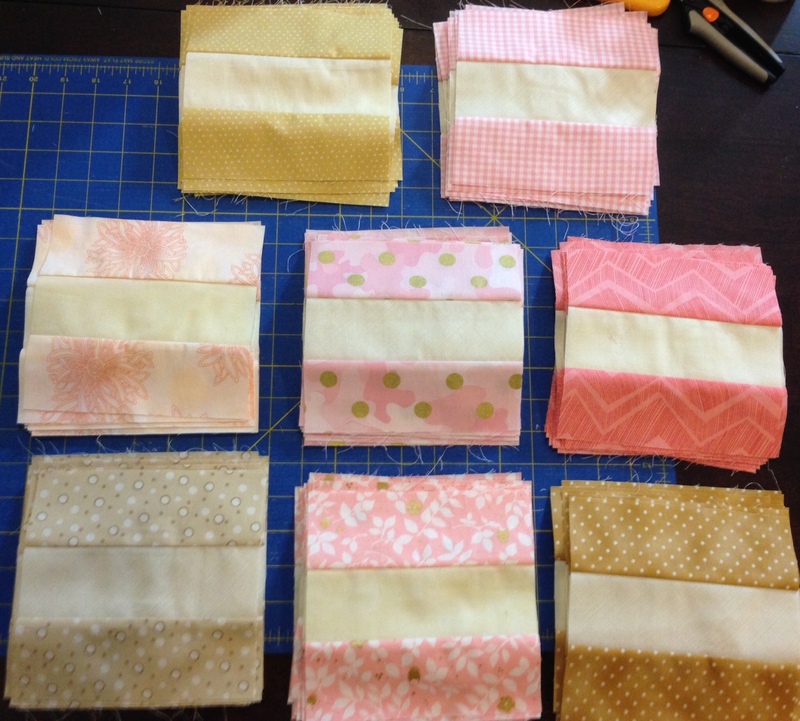 On Saturday, I finished sewing all of the strips together. Here are a few of the finished strip sets. This morning (after I had some coffee… never cut when not mentally present), I subcut the strips into the 6.5″ unfinished blocks. I love seeing all of the blocks together. So pretty! Here are the finished blocks. 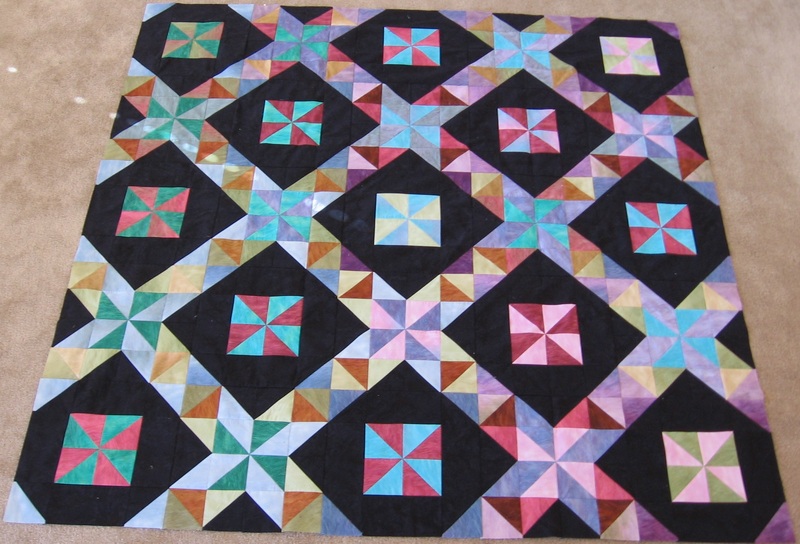 There are 120 total, though the quilt may have fewer, depending on how many people sign the blocks. They will sign in the beige in the center (hopefully leaving me 1/4″ seam allowance on either side). Other than needing to be mailed, these blocks are as far along as I can do right now. The wedding is mid-June so I should get the blocks back in early July to start assembling them. The goal is to have this finished by Christmas. 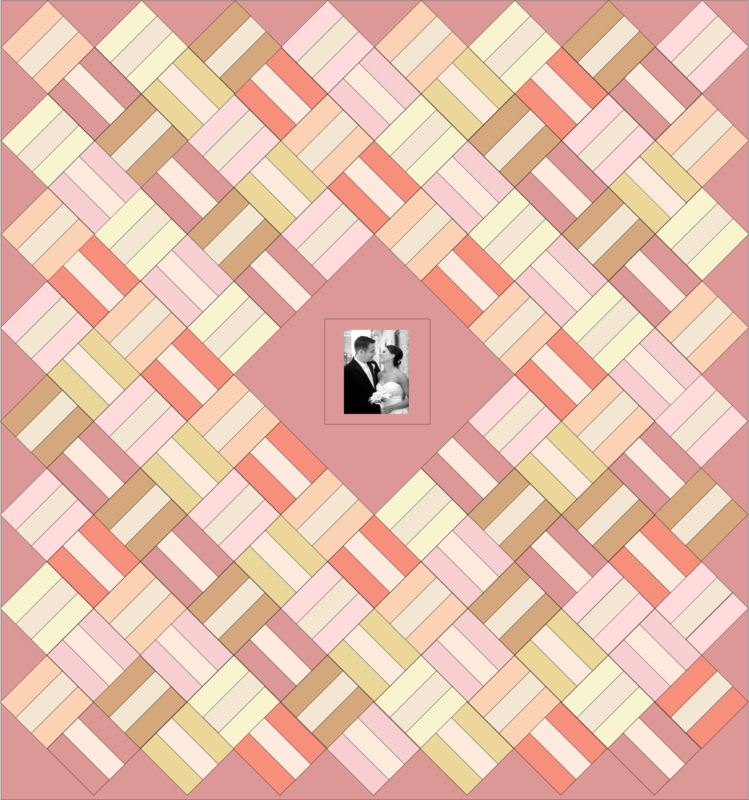 One of my big current projects is a wedding signature quilt for my friends Scott and Regina. The idea is that each guest signs a square and then the squares are put into a quilt, rather than using a traditional book. The wedding is on June 18, and I need to have the blocks completed and delivered by then, so we’re getting a little close to the deadline. I went to Pacific Fabrics yesterday, which is my favorite quilt shop in Seattle. I needed the main fabric for the center and outer triangles, 8 fabrics for the outside of the blocks, and 3 fabrics for the inside. I found a vacant corner of the store and started auditioning bolts of fabric. 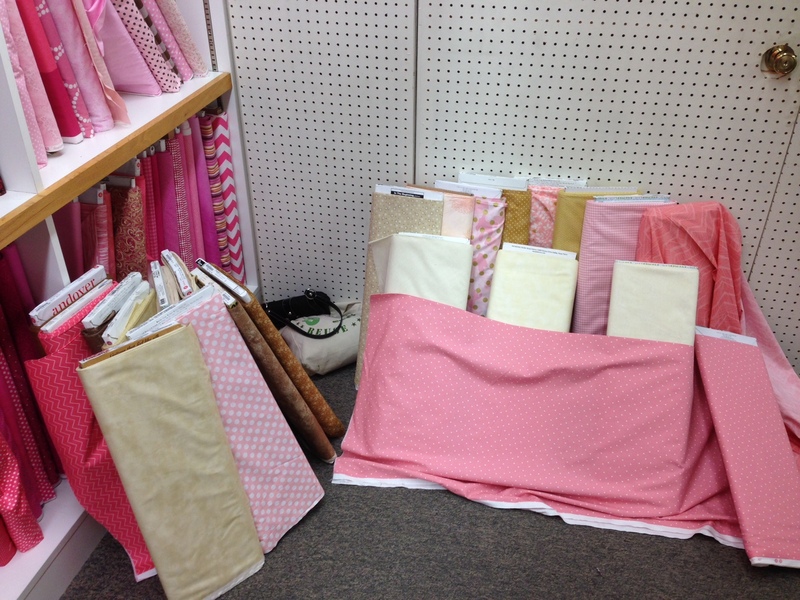 After about an hour of pacing the store and sitting on the floor (yup, no qualms with sitting on the floor in the middle of a fabric store), I ended up with these fabrics (the left side is rejects). The pink across the bottom will be the center/border fabric, the 3 beiges are the center of the blocks, and the back 8 are the outside of the blocks. 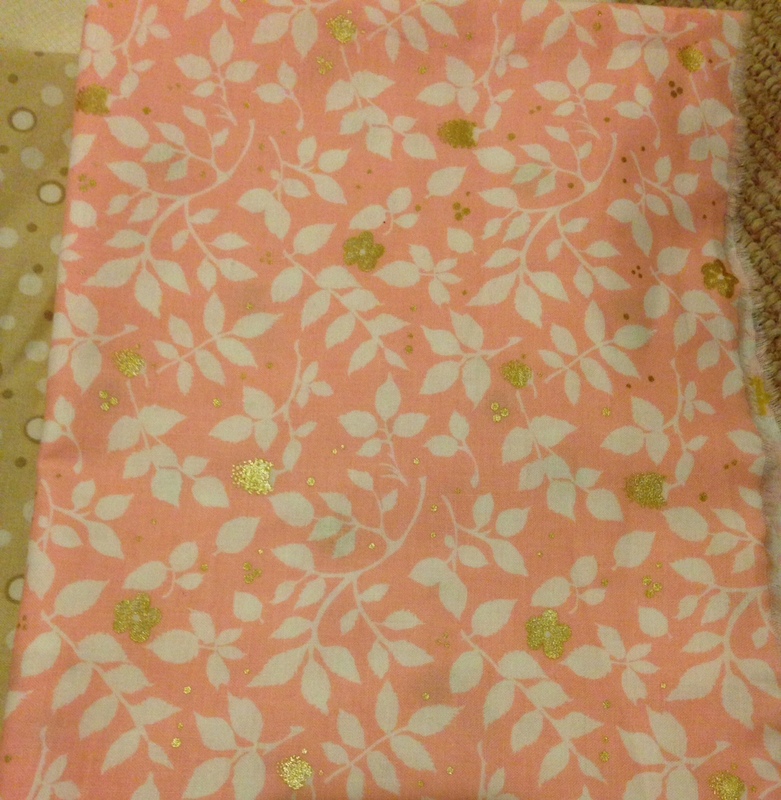 Here are some pictures of the fabric after I got it home. I find it amazing how different the fabrics look in fluorescent and yellow light, both in real life and in the pictures. The yellow light (pictures below) is more accurate to the true colors. Starting at the beginning… this was a really fun quilt to make. I had some gradient fabrics which I love playing with. There’s only 5-6 fabrics in this quilt, if memory serves. Each fabric is in the same position in each block, so in the bottom left, the red/green pinwheel, the red is from the same piece of fabric as the gold in the gold/pink on the far right. I used Ta-Da triangles, which are fusible web that you iron onto your fabric. Then you sew on designated lines and cut on other lines, and Ta-Da, half square triangles appear. I’ve used most of the trick products for making HSTs, like the Ta-Da’s and Thangles, and I prefer to do them the regular way or the 8-at-a-time way. But I digress. I made this quilt as part of a class and the teacher showed us her 3 pin method to get perfect points and I spent hours getting the pinwheel centers to line up perfectly and I was really proud of the quilt. This was maybe my 6th-ish quilt top that I made. Since I was really proud and had recently joined the Tucson Quilt Guild and we had our annual show coming up, I decided to enter it in the show. I entered it in the piecing category as well as the Newbie category (for those who have been quilting less than 5 years). I didn’t win either (though the Newbie one was partially because they lost my quilt prior to the voting at the Guild ……). I received my critique from the judges and for all of the categories, they ranked me as “fair” except for the part about my quilt points, which I was so proud of, when they gave me a “poor”. I was absolutely crushed and ready to give up quilting. It was such an awful feeling. This was also a wedding gift for a friend so I packed off my terrible quilt and mailed it to her (and, of course, she loved it). I received a lot of positive encouragement from some of my quilt mentors (Lynda at Quilter’s Market pops to mind) which helped get me through it. I learned to look at why I was quilting. I enjoy making my pieces as precise as possible but I don’t really care what other people thinking of my piecing (or I try not to). I do this for fun and to make gifts for people who appreciate them or donation quilts to help people, and I don’t want to spend hours agonizing over a seam (which people do) or anything that I would need to be “good enough” for a quilt judge. So I share this quilt now since it is a really nice quilt that I’m proud of. Two friends of mine, Scott and Regina, got engaged … 6 (ish) months ago. They were visiting Seattle, and he called me ahead of time and let me know he was going to propose. We were walking by the water, and I pulled out my camera to, ahem, take a few pictures, started filming, he got on a knee and proposed. It was really cool to be apart of (and always exciting for me to know a secret and keep it!). For their wedding, Regina asked if I would be willing to make them a guest book quilt (which I had the same idea a few days before and hadn’t gotten around to asking her). Rather than a book that each guest signs, each guest or couple/family signs a quilt square. Then (post-wedding) they get put into a quilt and the couple has something on their bed or guest room or a wall hanging or whatever. She got me the color palette. It’s a bit… calmer than I’m used to, but I do love the colors. I sent her some examples of signature blocks / quilts and she picked out a rail fence block design. Each block will be 6″, with a 2″ x 6″ in the middle for the guest to sign with a permanent fabric pen. I sketched it up in Inkscape, using her colors. I plan to print a wedding photo onto fabric and have that as the centerpiece. For the actual fabric, they will be patterned rather than solids. 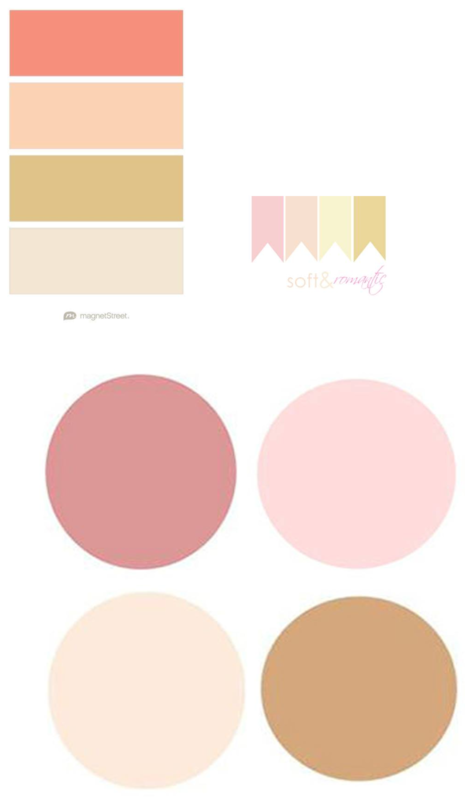 I’ll take the color swatches into a quilt shop and get some fabrics.